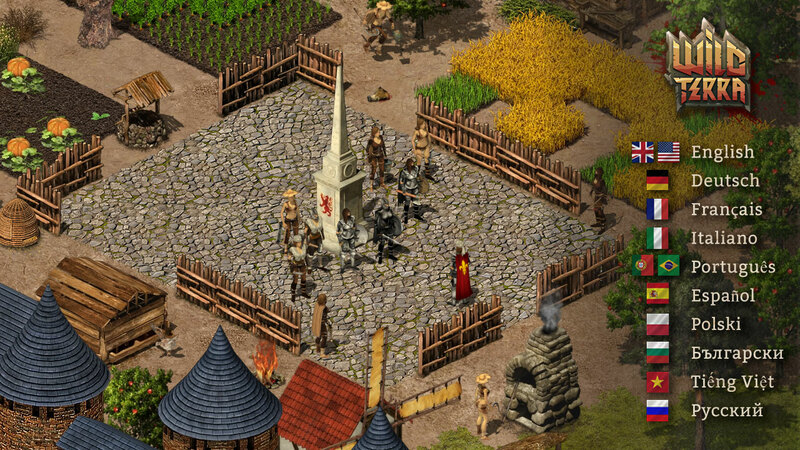 Massively Multiplayer life simulator in fully player-driven medieval world. 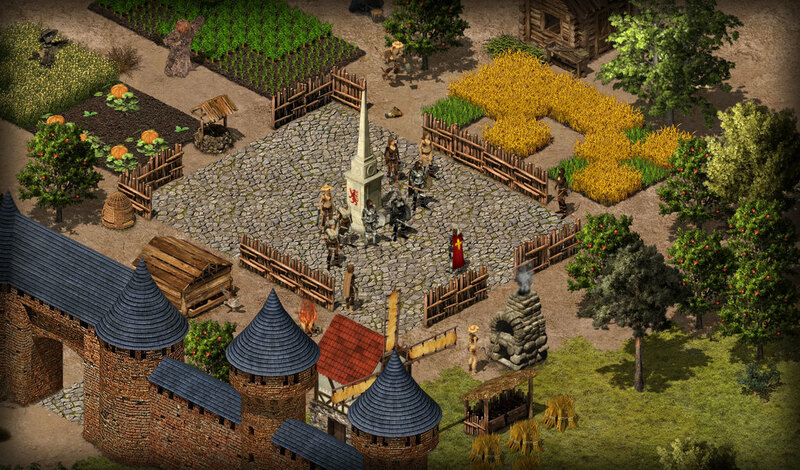 Surviving in wild nature, craft, unlimited building, PvP and castle sieges. 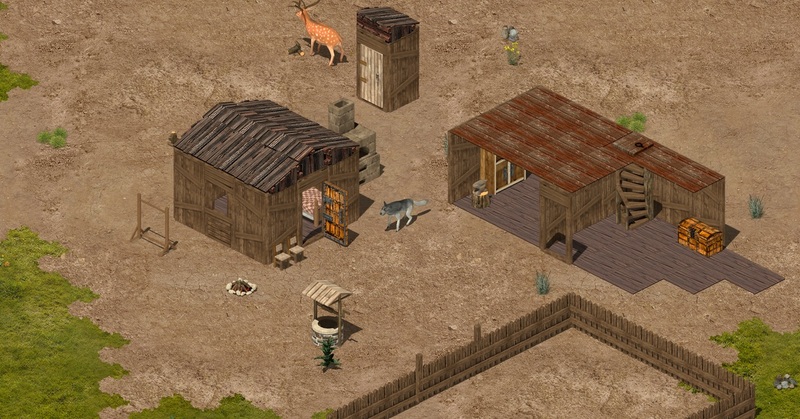 Fully player-driven world with no NPCs and premade towns. Developed craft system: weapons, armor, tools. There are dozens of types of resources and no less ways to get them. Possibility build it anywhere you want and whatever you want. From a campfire for a night, then a medieval castle. That huge open-world players can transfigure and transform. Cut down trees in a forest, plow up land, build a road. Start as a survivor - Become a medieval king - Early access - play right now! 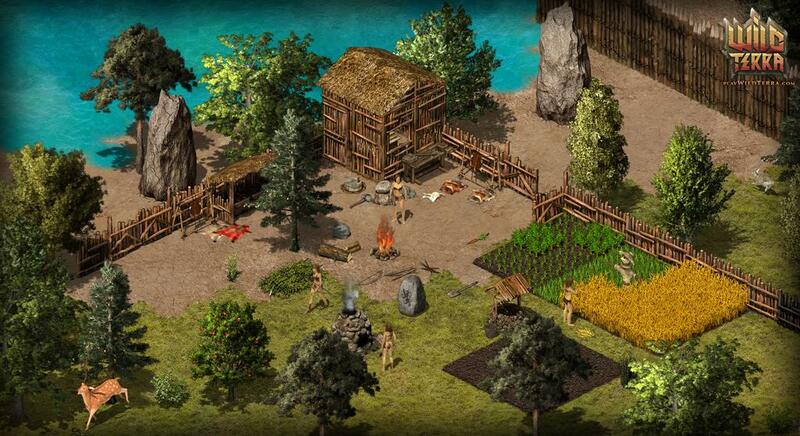 A year has passed since the alpha-test of Wild Terra started. During this year, the game evolved and changed rapidly. It's difficult to imagine, but one year ago there was even no chatting and running features in Wild Terra. For newcomers it was especially difficult, because at that time the game did not even have a beginner’s guide. Hundreds of bugs were found and fixed, thanks to you! The most helpful testers were granted with the Duke keys. During this year we added a huge amount of content to the game, a lot of new recipes, building schemes, craft chains, and much more. 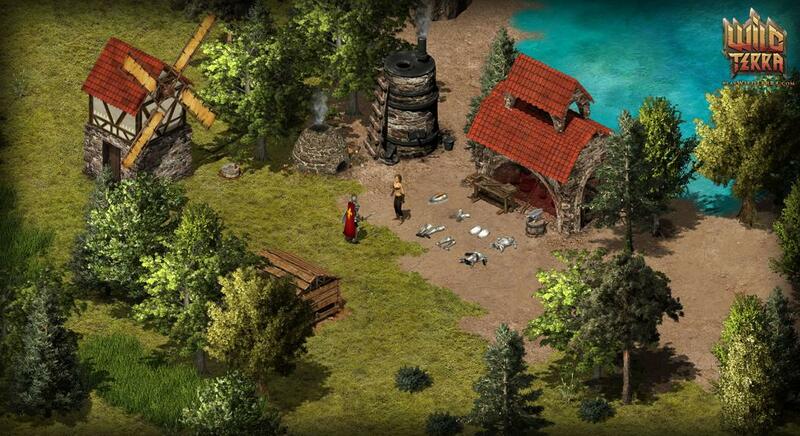 Along with the addition of new content, we constantly updated the graphics of the game. Now everything looks way better, right? We also updated the audio of the game: we’ve added background music and sounds to most actions in the game. 8 months ago, when we didn't have a test server, we had to perform two wipes. We again apologize for the inconvenience. The current number of Wild Terra servers exceeds one dozen. People from all over the world play the game — we even have players from Reunion. With such a wide geography, the game has been translated into 10 (!) languages: English, Russian, German, French, Italian, Portuguese, Spanish, Polish, Vietnamese and Bulgarian. During 2015, we held a few contests and free key distributions. Wild Terra made it into the Top 100 Indie Games list of the year, according to IndieDB. The 10 best games are being chosen by gamers right now. Vote for Wild Terra to help us achieve a place in the list! We have become partners with Gamepedia and opened an official wiki page which is edited and updated by our active players. Here you can find a summary of what the press thinks of our project. We were together to celebrate Halloween, and we hope you are going to join us on Christmas. Click here to read about what the Wild Terra developers have planned for next year. Merry Christmas and Happy New Year! In 2016, we will give our best effort to provide you with the best gaming experience! Keep up the news, folks! Follow us on Twitter and Facebook. jest jakiś inny możliwy dostęp do gry bez wydawania kasy? np Keye? "Premium Days" po wyczerpaniu tego nie mogę grać już czy jak? w FAQ nic nie ma na ten temat. Anyone can take part in the testing and help us to find errors and flaws, order to this update came rather to the main servers. If you enjoy the game, you can support us by purchasing the early access. During tests - an additional discount to the bundles! Momentous event in the life of Wild Terra - 2 years have passed since we began work on the project! We want to share with you an interesting statistic - how many people are playing the game, how many of them have title of "Duke", in which countries know about us, and other information in the new infographic! Discounts up to 70% on all early access bundles, premium days and all unique titles. Make a gift to yourself and the project - support the development! Access to the game remains forever! Buying the game now - you can play it even after the publication on Steam! 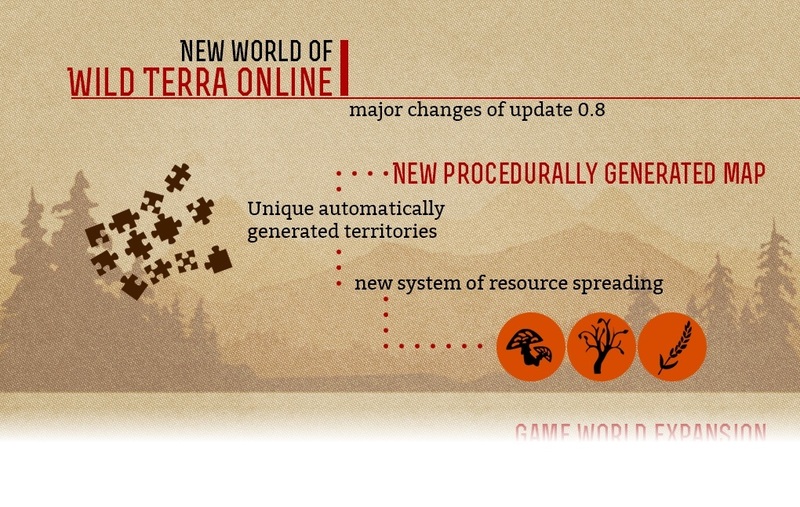 We are planning to release Wild Terra on the Steam, using all of its convenience and functionality. 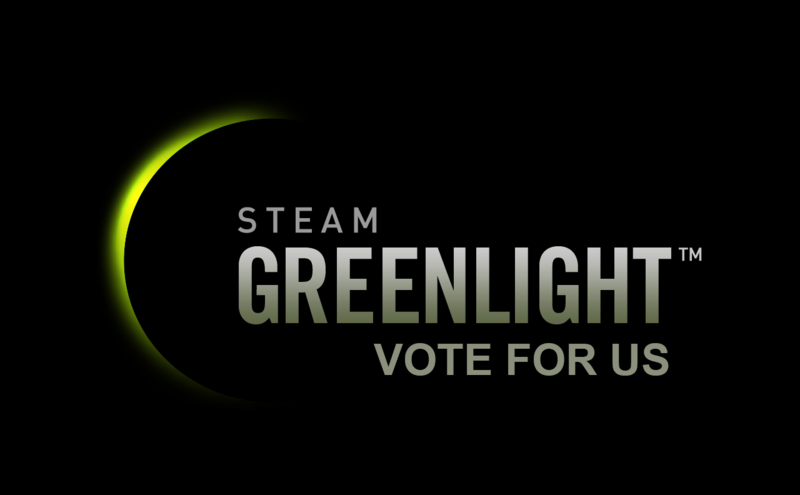 But to do it - we need to win user's voting on Steam Greenlight, which will show how much the players are interested in the release of Wild Terra on Steam. Go on the project page and vote for us! Help Wild Terra get the "Green light". There, you'll see a new gameplay trailer, which we made especially for this! Leave your comments and advices to other players on the page in Greenlight, help them decide on the vote, describing why they should vote for Wild Terra. Many thanks to everyone who helped to develop the project. We hope for your support! Jak duże to ma serwery? Z tego co wyczytałem na steam to nie jeden duży i jeszcze do tego poszczególne serwery różnią się ustawieniami.